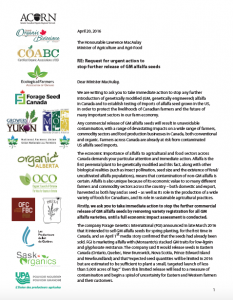 I n addition to OCO’s letter to Premier Wynne and Minister Leal, OCO supported a joint letter that was sent to the Federal Minister of Agriculture on April 20th requesting restrictions to the commercialization of new GE varieties in Eastern Canada. 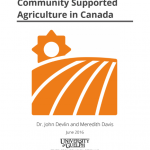 along with 14 other organizations representing both conventional and organic producers across the country. 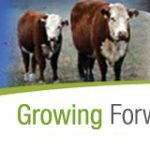 Minister MacAulay’s recent response is posted here. 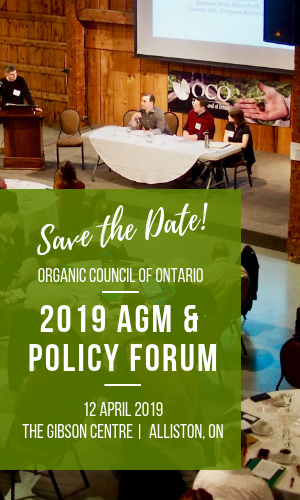 We continue to work with the provincial government and other advocates to address the introduction of GE alfalfa and the costs that the organic industry will incur as a result.